We design and manufacture magnetic solutions to aid lifting and handling processes, including fork lift magnets, palletization magnets, magnetic sheet separators and magnetic assemblies for conveyor belt systems. 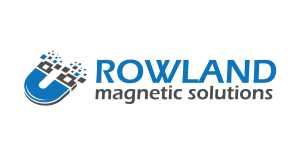 We offer BRC compliant magnet testing services for the food industry. We also manufacture equipment that is ATEX compliant for use in explosive environments. offer quality customer service and ongoing support. © 2016 Rowland Magnetic Solutions Ltd. All rights reserved.